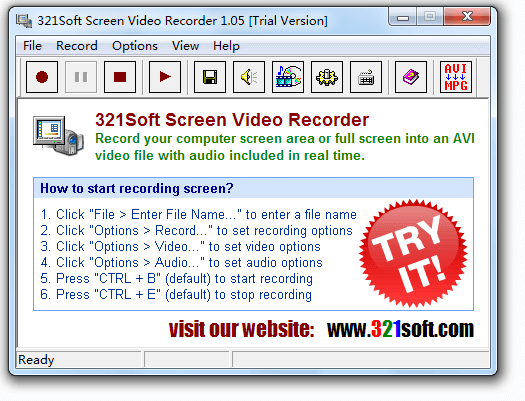 321Soft Screen Video Recorder is designed to record your computer screen into AVI video in real time with different options. Support recording by full screen, window, or a fixed area. Support recording audio, mouse cursor, overlay text, etc. 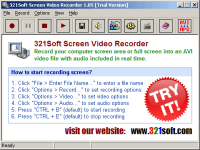 321Soft DVD to iPod PSP Ripper can convert DVD to MP4 with codec of Xvid or H264 for playing on Apple iPod or Sony PSP. Support richful output video size. Support converting to a single file or seperate files by chapters.